Business Insider estimates that Americans spend more of their time on social media than any other online activity, including email. Because of this user engagement, using social media to promote your business can be one of the lowest cost channels in your marketing toolbox — but realizing a business benefit from it demands that you have a plan. There is no shortage of social media channels you can use to connect with your audience, including Facebook, Twitter, Instagram, Pinterest, LinkedIn, Snapchat, Vine, Tumblr and YouTube. However, not all of your target audience is active on all of these channels — and not all messages are effective on them. For example, Sendible reports that Pinterest’s audience tends to skew heavily female, while Tumblr users are primarily under age 25. Social media offers small-business marketers access to robust data and insights that make it easy to identify an ideal audience, based on income, age and geographic location; as well as psychographic data like hobbies, and the other brands and social media business pages with which they engage. These free insights can help you estimate the potential reach of your message to determine whether having a presence on a given social media channel is worth the investment. You can post to nearly any social media channel in a matter of seconds, but effective social media marketing demands more than activity. For social media efforts to result in tangible business outcomes, posts should be driven by what they’re meant to accomplish. If the goal is to boost sales of one item to relieve excess inventory, for example, the ideal social media strategy could reach a number of potential new customers with a “flash sale” or promotion that includes paid media. To cultivate customer loyalty on the other hand, the social media strategy should be geared toward relationship-building posts and “VIP only” promotions for your existing audience. You can’t know that your social media marketing has impact without a baseline goal. The more specific it is, the better you can gain a sense for whether your social media plan is working as is, or if it’s time to course correct. Social media allows for this flexibility, but you have to measure what’s working and what’s not against an objective and realistic threshold to make that conclusion. Plan for the resources you can invest into the strategy. Posting on social media is technically free — but you should prepare to invest at least some time and money into developing quality content. If you find that your audience is active on Pinterest, for example, your ability to associate appealing imagery to use in your strategy is pivotal to your potential success in the channel. Yet quality images cost money and time to source and prepare — whether you’ll shoot them yourself, buy stock photography, or hire a photographer. The same is true with the blog posts you may publish on LinkedIn, and even short videos you post to Vine. If you haven’t planned to put your best foot forward, you’ll shortchange the potential of your social media strategy. Figure out what you’ll say. Social media strategy includes consistency. Any business can post news to its site once every few weeks — but that activity will probably yield lukewarm results. Create a strategic plan of what you’ll say, how and when on each social media channel for at least one consistent month. Much like an editorial calendar, this plan can help you remain committed to your strategy, regardless of shifting business demands. Social media can be a low-cost way to market your business, but time is money when you own a small business. 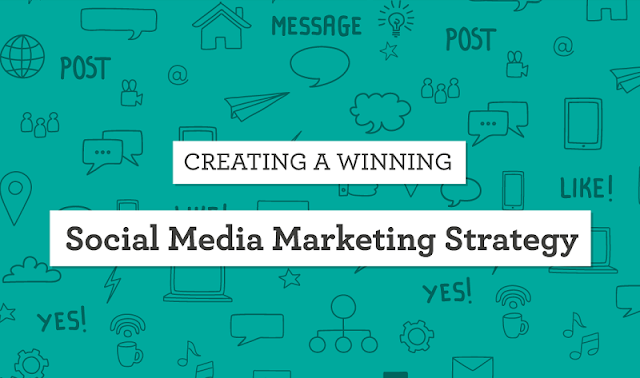 Take the time to develop a feasible and realistic social media strategy based on your resources and goals. This way, you’ll optimize your social media efforts and improve the chances they help you accomplish your specific business goals. Kristen Gramigna is Chief Marketing Officer for BluePay, a credit card processing firm. Follow her on Twitter at @BluePay_CMO. She has more than 20 years experience in the bankcard industry in marketing, direct sales and sales management.